Surprise Sunday Post! I was too excited to wait until Monday to share. While we were in Utah Kevin took on a big project to keep himself busy and not missing us too badly. He removed the lattice and installed horizontal slats. It looks SO good! I thought we were going to have to hire this out. He totally impressed me with is handy skills! 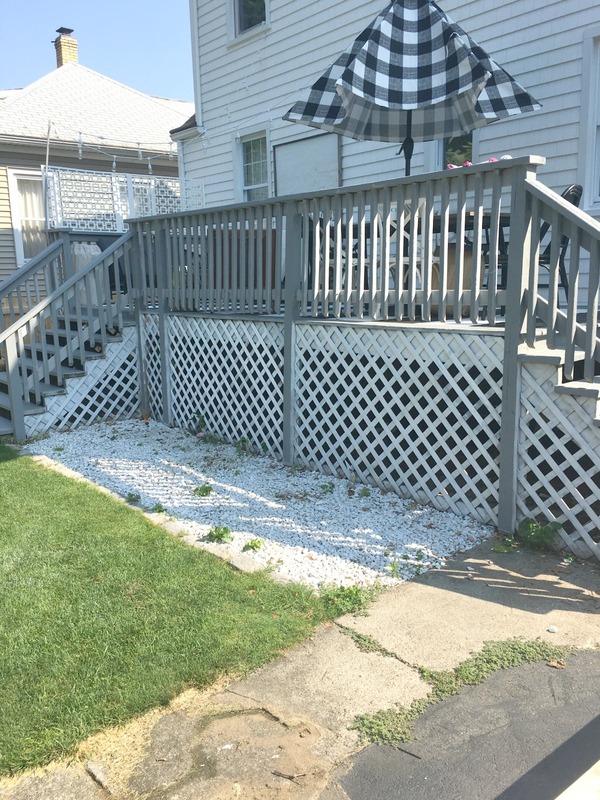 See it all HERE and what we use to clean our deck with! We painted our front door PINK! 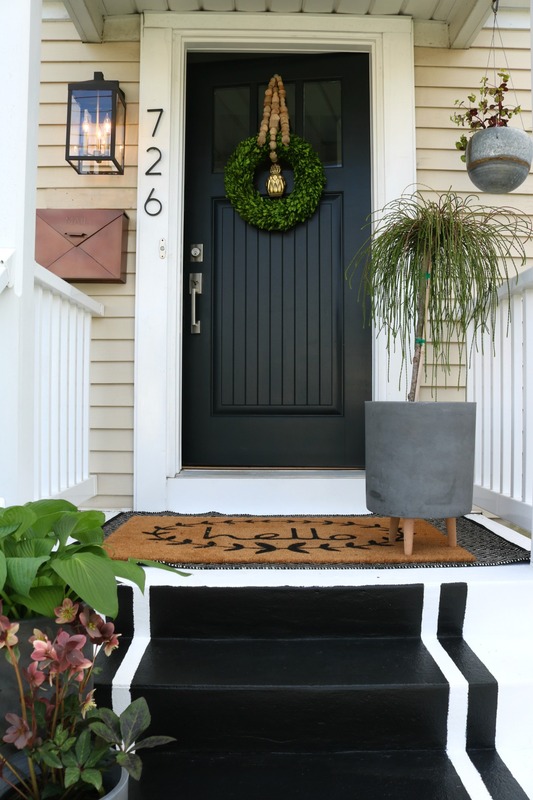 Come see what it looks like and all the changes this front door has seen over on the blog today! 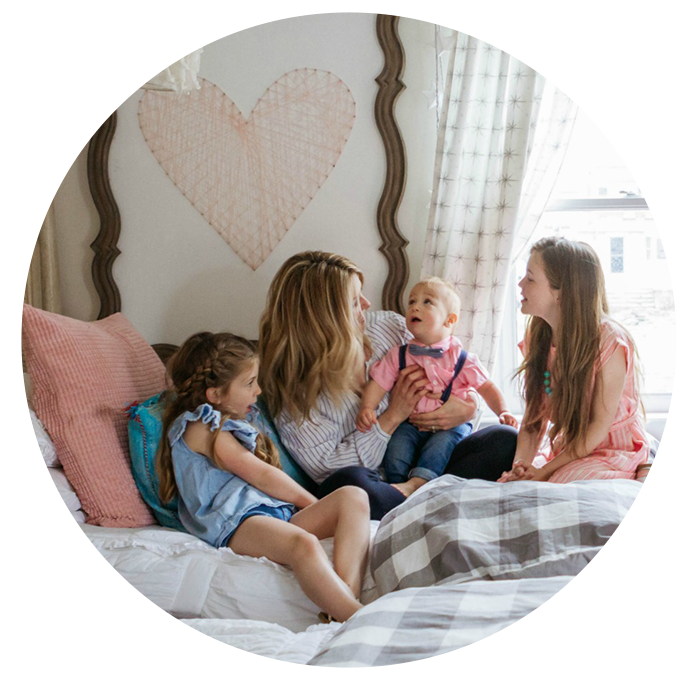 Pillows- What to search for and my new Pillow Favorites! We did some rug olympics this past week and if you have put a rug under a bed (that is already set-up) you know you think you deserve an award! Come see the changes and the new pillows I got from somewhere you might not have thought of! 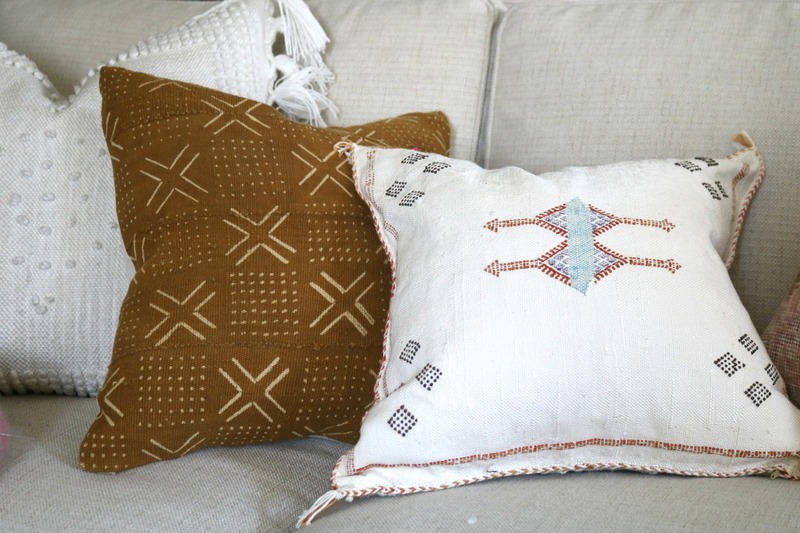 I shared my tips on how to search for eclectic unique pillows HERE. Below I answered a Design Question below from one of you! I told her it looks so pretty! And asked if she would want to add a rug…. I would go with a lighter rug if you can to break up the dark chairs and be a pop! I love THIS one and I have it in the black. Or you could look for a stripe that is tan and white. BTW this week I am sharing the changes to our front porch too! 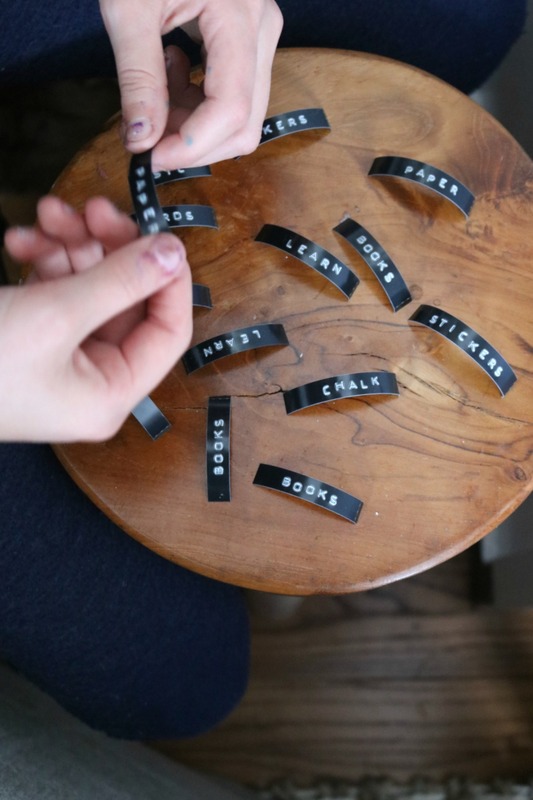 Friday Favorites Starts with- Organizing with Labels and We got New Doors! Happy Friday! We got new doors on two of our doors upstairs and I cant believe how happy they make me! They actually open and close without waking up the entire house. Not to mention the door knobs actually work too. Come see what they look like, what we paid and painted them in HERE along with other Favorites from the week! Also got a new Label Maker, I was inspired by from yesterdays home tour- go see what we labeled HERE and a bunch of other ways to use the Label Maker! I am OPEN!! If you have one Design Question you can submit by replying to THIS email by the end of the day today. I will answer these questions in the upcoming week via this format. (If you don’t get it to me by 10:00 PM EST don’t worry- I will ask for them again next week. I just need a cut off period so I can mange them better). Also I am answering an older design question I got (I will let you know when I am caught up and can take more questions!) I replied to about 6 of your design questions via email. Working my way thru and love connecting with you! 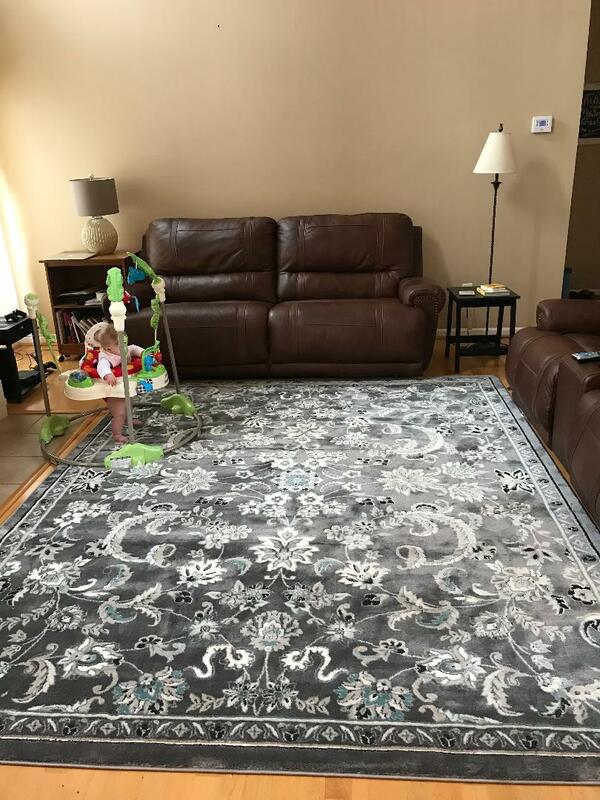 You are right- that rug is too gray for your space and with the brown leather. I would do a rug that pulls in the brown and lightens up the room. 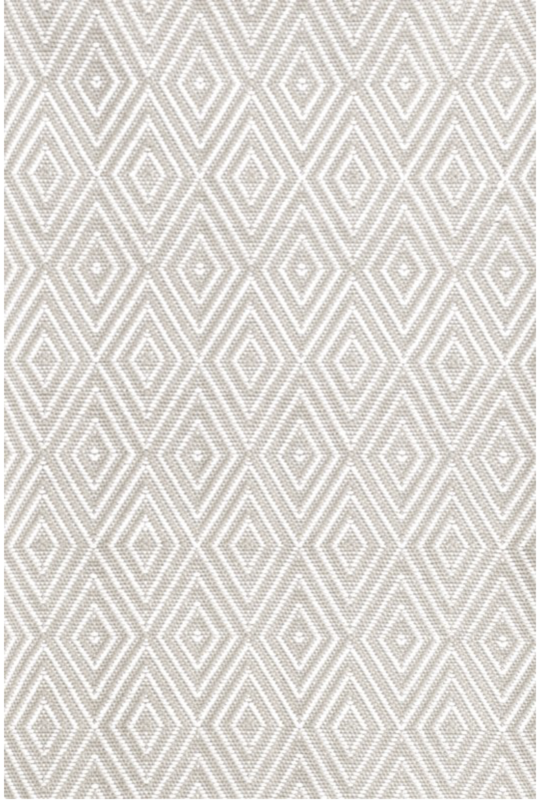 In your price range for a large rug I saw THIS one that would look great. ALSO- you want the front of the legs of both sofa’s to be ON TOP of the rug to connect the space. 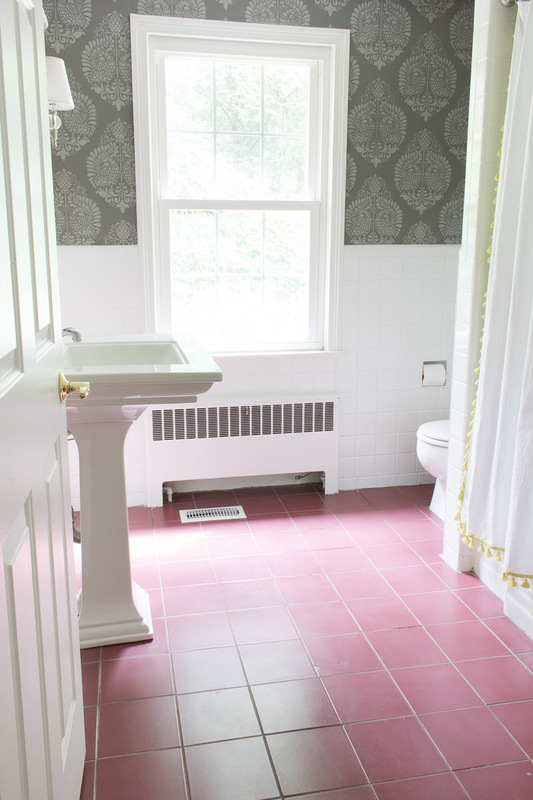 Driven By Decor painted her bathroom tile- below is the BEFORE go see the after! 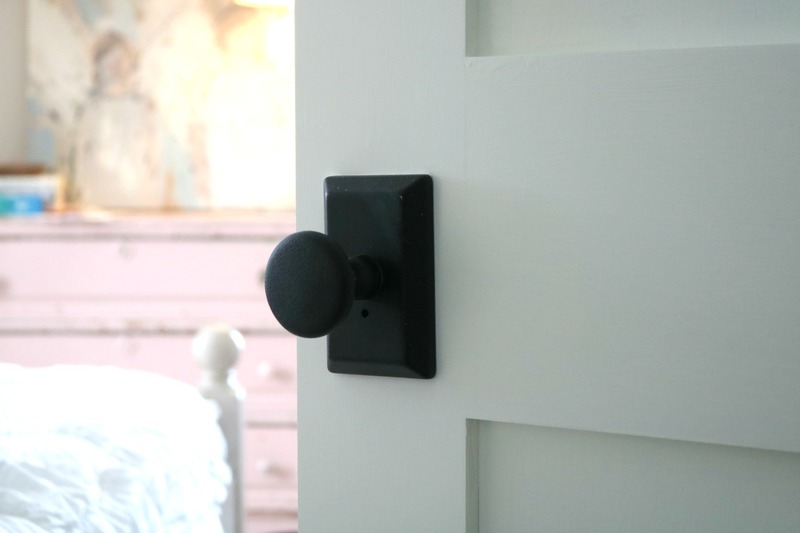 And Simple Details painted that dot wall to look like wallpaper…I love it! YOU GUYS! FRIENDS! No really LISTEN up! I am so excited to share this home tour with you today I have to yell at you! 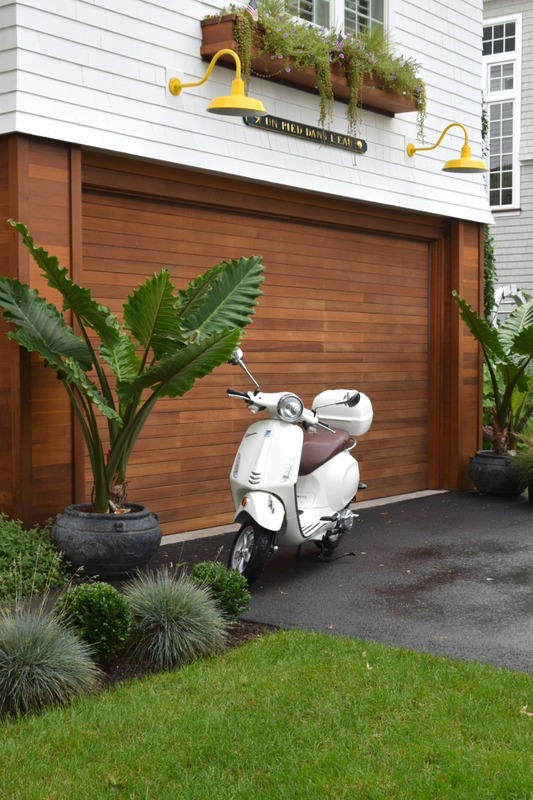 I creeped my way into this coastal home in our neighborhood and took a million pictures to share with you today. I don’t know if I can pick one spot I love the most, it is all so good. I really love how original and unique it is. Such an eclectic mix of wallpaper and unique pieces. I can’t wait for you to see it. Please leave a comment on my post. 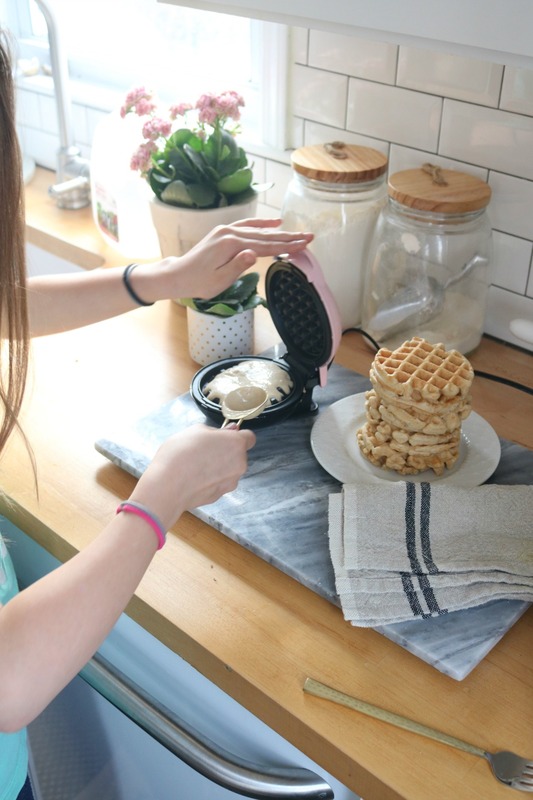 Tell me what is your favorite part and if you like to see these type of posts on my blog! Hello! I have missed you all! I was on vacation in CA all last week. On our way we stayed at one of my clients homes in St. George Utah. I have been helping her update her second home via email and I wanted to do some finishing touches and take pictures to share. Come see the after photo of this home office and the gallery wall that I had a lot of feedback on over on Instagram. I am excited to share a home tour with you today. The home is of a friends who is also a client. I have gotten to work with her on her finishing touches and it has been fun. You will want to see her fireplace and breakfast nook with the painted white brick. 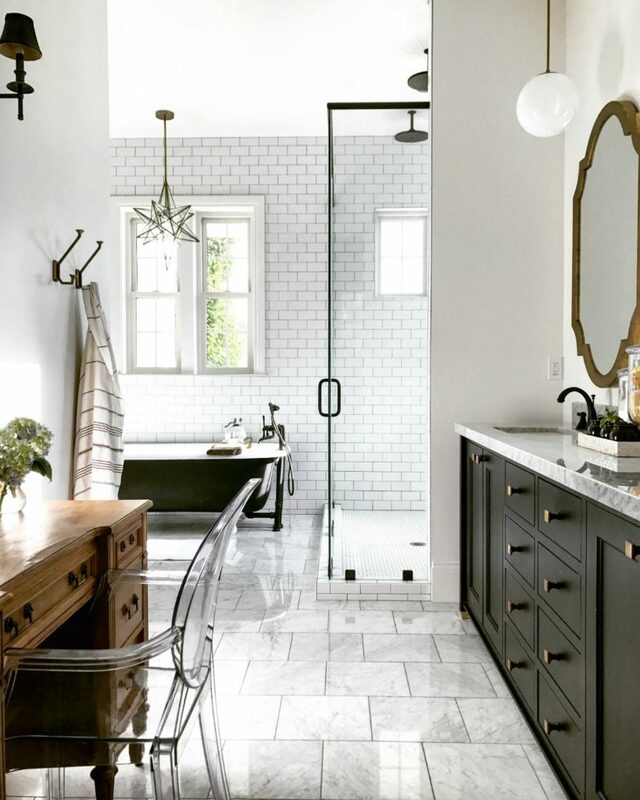 So many charming details to a new home. 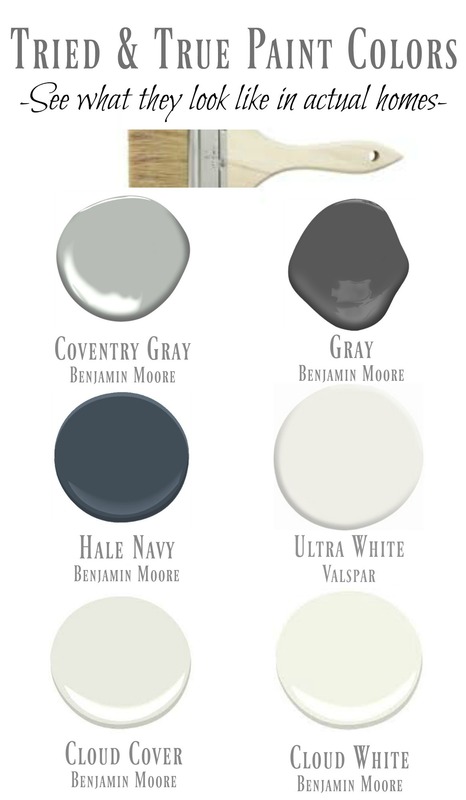 Today for my Friday Favorites I complied my favorite go-to paint colors in one bog post. I also shared pictures of them painted on pieces or in rooms. This is the my most asked question I get. I linked up some of my favorite summer home goods pieces too! Happy Memorial Day friends! The town we live in is so charming and especially right now. 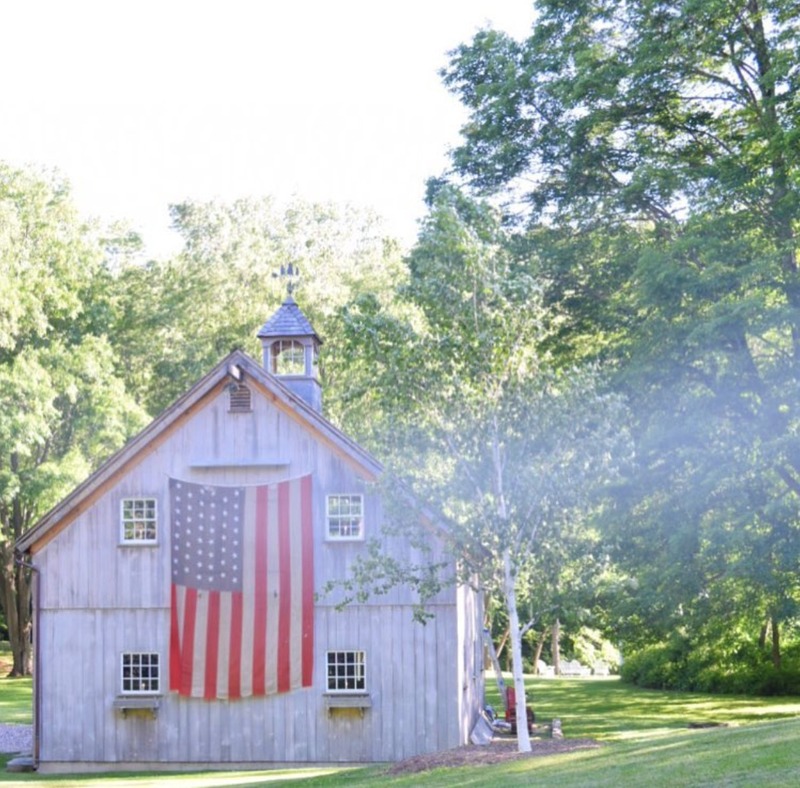 Everyone has their pride of being an American hanging on the front of their homes. 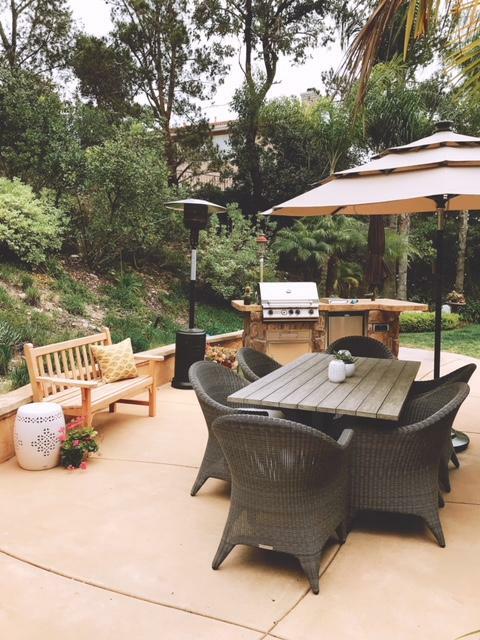 I took some pictures of about 20 of my favorite homes- the homes that stop me dead in my tracks and offer so much inspiration! I even matched up some of the paint. Come take a walk with me around my neighborhood! 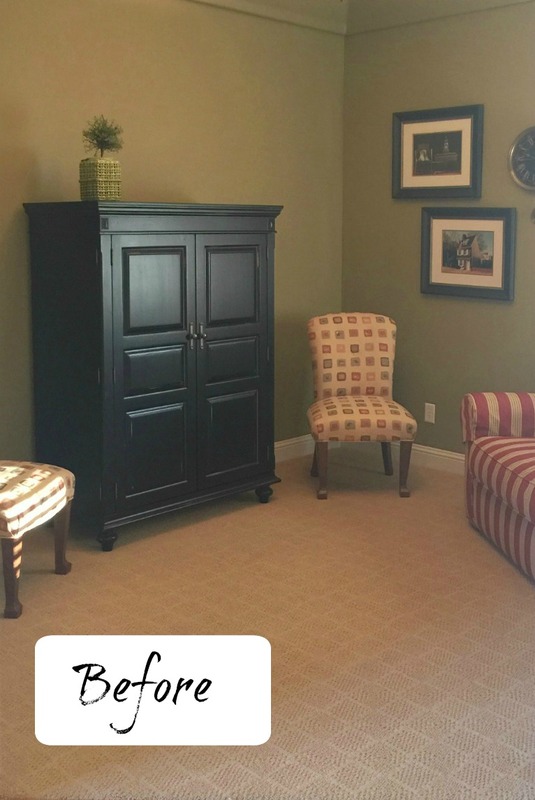 I am so excited to share more of Melinda’s home from Hawkes Landing. If you remember I shared her gorgeous home a month ago. I didn’t share her master bedroom or bathroom. 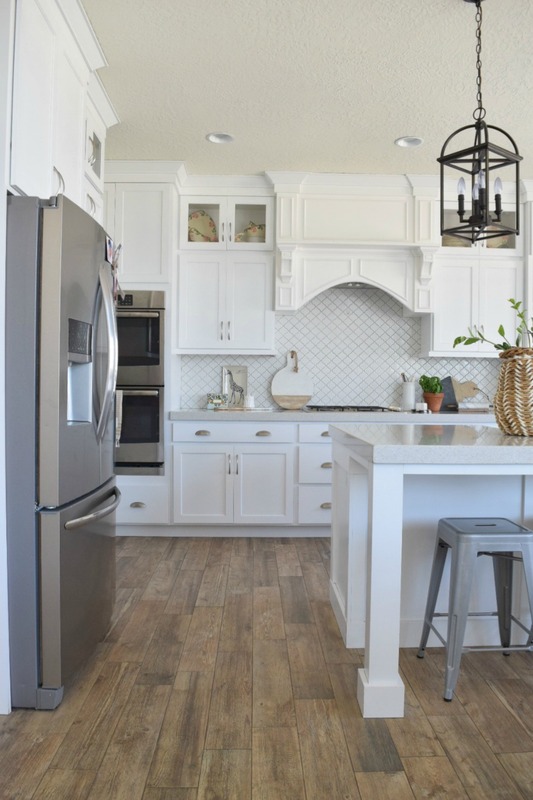 Come see the rest and get all the details of how she mixes old with new.